**Please note: If you do not own a serger, you will seriously want to purchase one after reading this post!! Baby showers are my very most fvorite event for which to craft. Making snuggly little baby things is fun, and if it’s cute, the mom usually likes it no matter what it is (“Look, it’s a Pee-Pee Tent! Aweee! Pass it around!”). 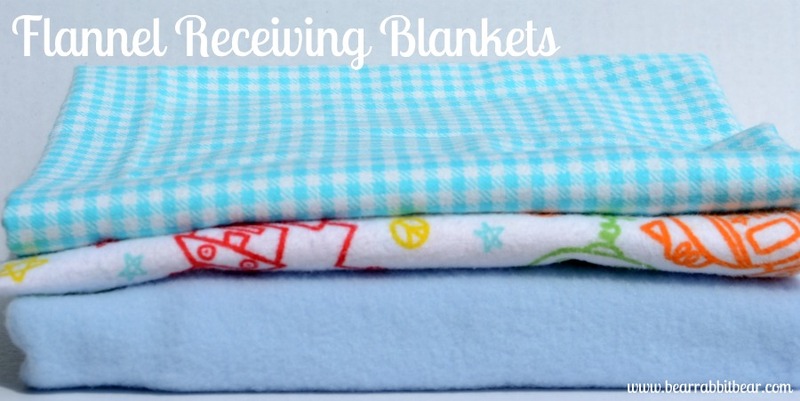 Today, I’m making the easiest baby shower gift ever- Flannel and Fleece Receiving Blankets. The reason this craft is so unbelievably easy is because I own a little miracle machine known as a serger. There are different brands out there, but I own the entry level Brother serger. It gets the job done, but my dream serger is the Project Runway Brother Serger or one of the fancy-pants Bernina sergers. Maybe one day. But for now, my Brother entry level serger is plugging along just fine (the presser foot is actually a bit on the broken side, but it still runs like a champ!). A serger is a machine that makes finishing raw edges and seams a breeze. It trims the fabric and finishes the seam/raw edge all in one step, leaving handmade items and gifts with a professional feel. 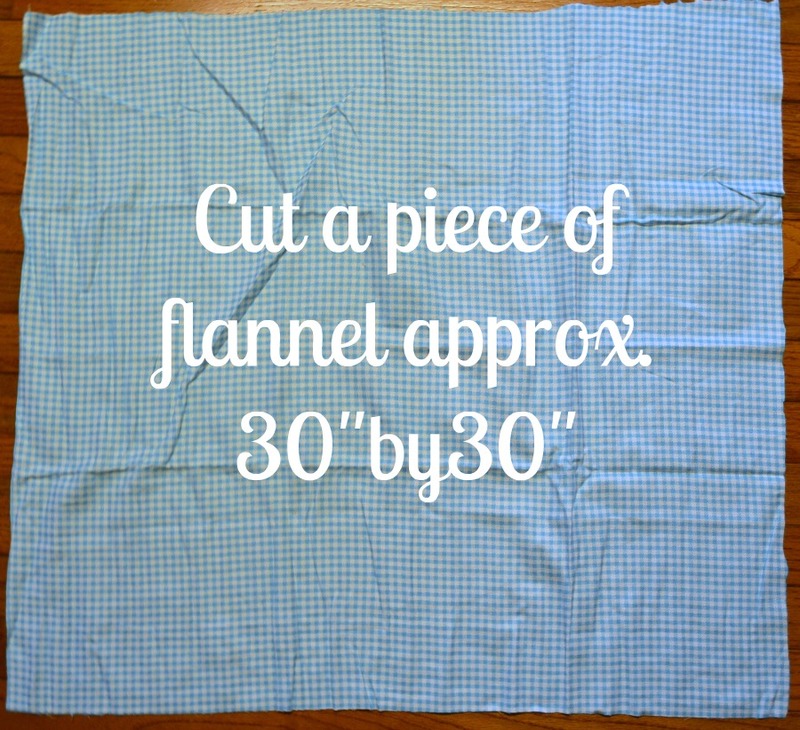 To create a set of three coordinating baby receiving blankets for a recent baby shower, I simply cut pieces of flannel or fleece into 30″ by 30″ squares. I then serged each raw edge of the flannel blankets with a Narrow Edge Three Thread Overlock Stitch setting (see your machine’s manual on how to set up for this stitch). I used a short stitch length and width to create a small stitch that would be nice and tight. I widened the stitch length and width to serge the raw edge of the fleece blanket. 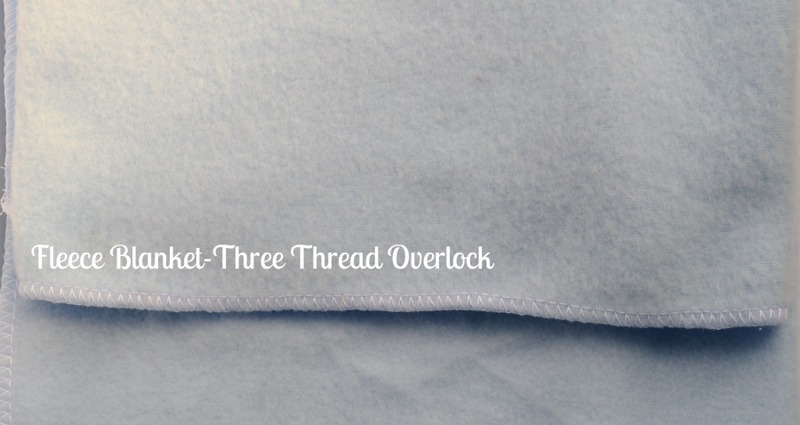 Since fleece is thicker, a wider stitch was necessary. I finished all three of these in thirty minutes. For crafters who like taking professional homemade gifts to baby showers on a consistent basis, a serger will seriously take your sewing to an entirely different level! Even just an entry level serger can save time and money on creating baby shower blankets and accessories! A Serger is on my list… along with a lot of things. LOL. So cute, Melanie! Fancy pants Bernina… *snicker* My mom has two segers and growing up it was awesome, she used one and I used one. Well now my sis uses one and I’m married and moved away and have not one to use 🙁 But I grew up with Bernina and love it, also Babylock is pretty amazing too. I wish I had a serger!!! lol Maybe I should ask one for christmas… I love Bernina but it’s too expensive. I got a serger for my birthday a couple of years ago, and use it LOTS! Don’t know how I managed without it before! I have had 3 Bernina sergers beginning in 1980 or 81 and have recently sold my last Bernina (a 1300 MDC) and purchased a Baby Lock with jet air threading. It is definitely much easier to thread and is more practical for most who sew.